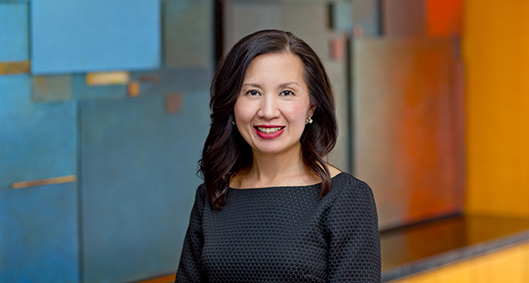 Lan Hoang focuses her practice on complex commercial litigation matters in the areas of bankruptcy, business torts, professional malpractice, breach of contract and intellectual property. Her experience involves proceedings in federal and state courts, as well as arbitrations and mediations. Lan served on the Supreme Court of New Jersey District Ethics Committee, District V-A, from 2010 through 2014 investigating and prosecuting grievances against New Jersey attorneys charged with unethical conduct under the Rules of Professional Responsibility adopted by the Supreme Court of New Jersey. She also served on ethics hearing panels considering grievances against attorneys. Lan is on the faculty of the Practicing Law Institute and has served as chair for the New Jersey Basic CLE Marathon. She was co-chair of the New York Women Attorneys Committee for the firm's New York office and is a member of the firm's Diversity Committee. Represented a major publishing firm in a putative class action brought by an author alleging breach of contract and breach of both good faith and fair dealing of the foreign royalties provision of a publishing agreement. Represented a major publishing company in connection with copyright claims concerning application software related to an internet portal for a major aspect of the company's business. Defended a major internet portal in a trademark infringement action in connection with the naming of a spinoff business unit. Represented, as lead attorney, the Securities Investor Protection Act Trustee for the liquidation of Bernard L. Madoff Investment Securities LLC in recovery actions against hedge funds, funds of funds, investment banks, and other financial institutions and fiduciaries. Counseled a major financial, publishing and business services company in connection with data distribution and licensing agreements. Represented a government authority in a Securities and Exchange Commission investigation regarding auction rate securities. Represented a multimillion-dollar investor in securities, corporate governance and breach of contract disputes regarding ownership of an importer attempting to pioneer the U.S. distribution of China-built vehicles. Represented a foreign national in a multibillion-dollar, multijurisdictional trusts and estate dispute. Defended an international electronics manufacturer and distributor in nationwide consumer fraud class actions. Defended a foreign manufacturer of digital cameras in a nationwide consumer fraud class action.